You may not know much about transfer cases, but if you have a 4-wheel drive vehicle, you’ve got one. A transfer case is a part of the drive train of four-wheel-drive, all-wheel-drive, and other multiple powered axle vehicles. The transfer case transfers power from the transmission to the front and rear axles by means of drive shafts. At All Auto, transfer case service is available. We will drain, diagnose, and replace the transfer case fluid with fresh fluid. In our diagnostic test, we check for leaks and damage. We also check the consistency of the fluid to look for contaminates. Transfer case fluid can often contain bits of metal and clutch material that can contaminate the fluid. Although rare, any contaminate in the fluid will cause wear and it’ll further accelerate wear if left unchanged. There are several factors that affect how often you should change the transfer case fluid. You will want to let our service advisor know how often you use 4-wheel drive, drive in wet environments like rain, mud and snow, and if you drive off-road. Unfortunately, like all mechanical parts, transfer case parts will eventually wear out and you will have to make repairs. But with regular transfer case servicing, you will be able delay future repairs and make repairs less costly. If you have a 4-Wheel Drive, All-Wheel Drive, or other multiple powered axle vehicles, come to All Auto for a checkup of your transfer case fluid. If a fluid drain and flush is recommended, we will also check for damage and signs of excessive wear. 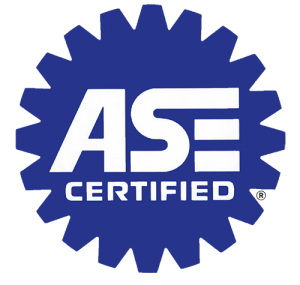 When it comes to servicing your transfer case, trust All Auto to get it right, the first time.